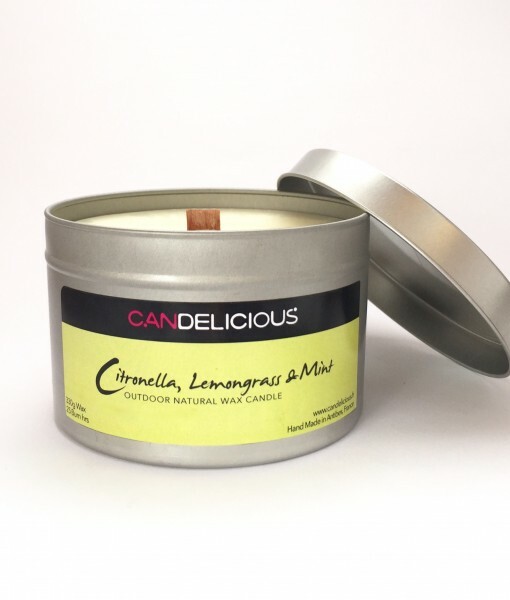 These candles are made with 100% Natural Wax and high quality Essential and Fragrance oils. You can enjoy the crackling sound of the wooden wick. 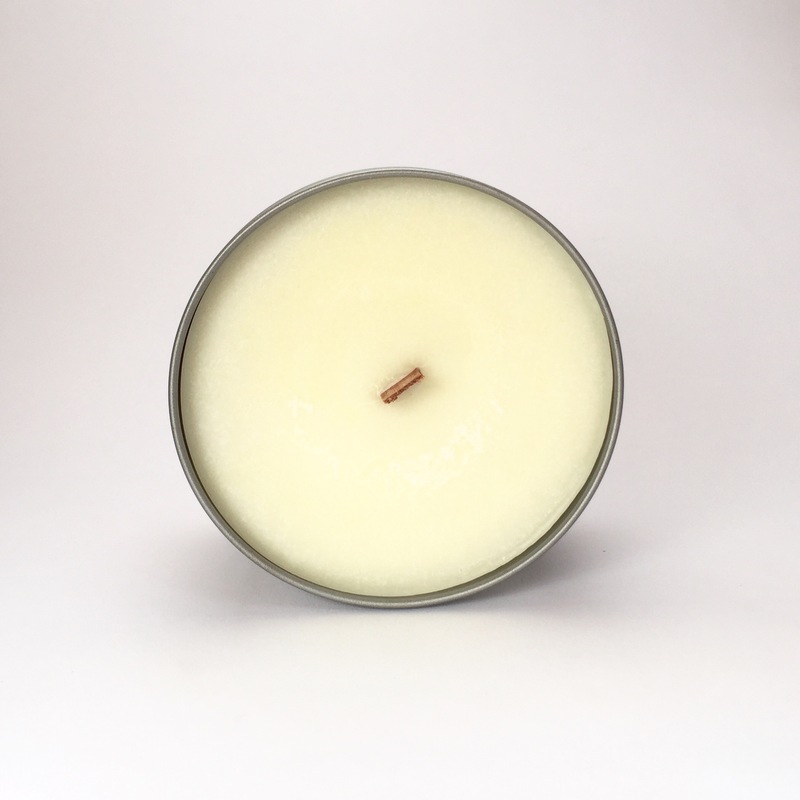 This candle will diffuse quite a bit of fragrance and give lots of light. These Large Travel Tins are only for outdoor burning! There are lots of different fragrances available. 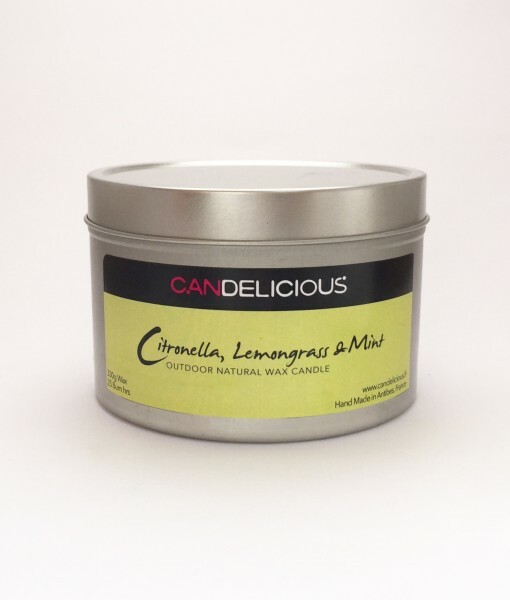 Anti-Mosquito: This will help to keep the mozzies away with its beautiful Essential Oils of Citronella, Lemongrass and Mint Piperita. 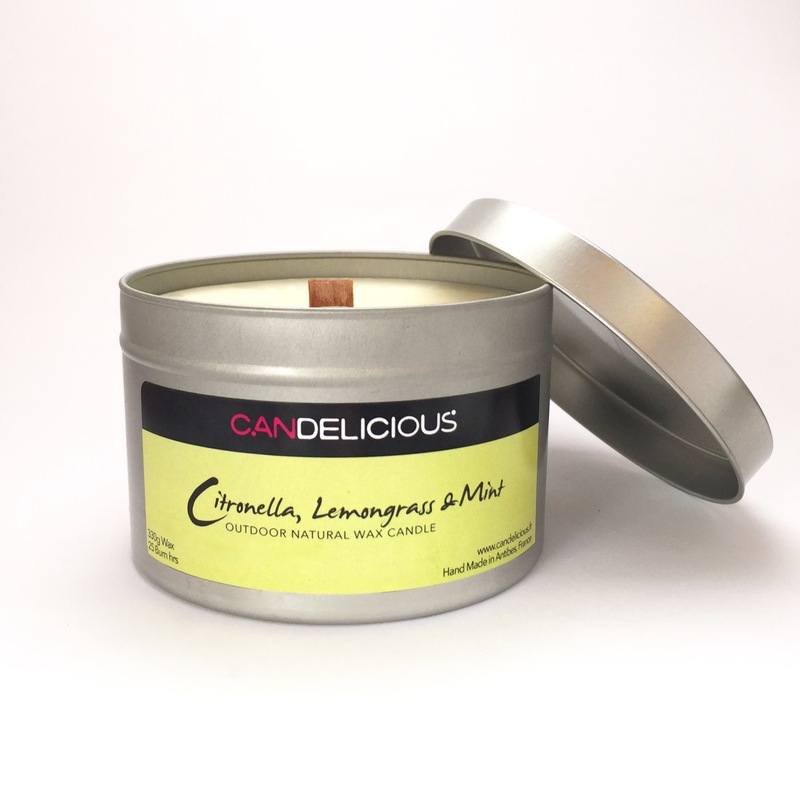 It smells strong which is needed for an outdoor anti-mozzy candle. Pure Essential Oils and I made this unique mix to ease the strong Citronella Fragrance. The mint gives it some freshness. 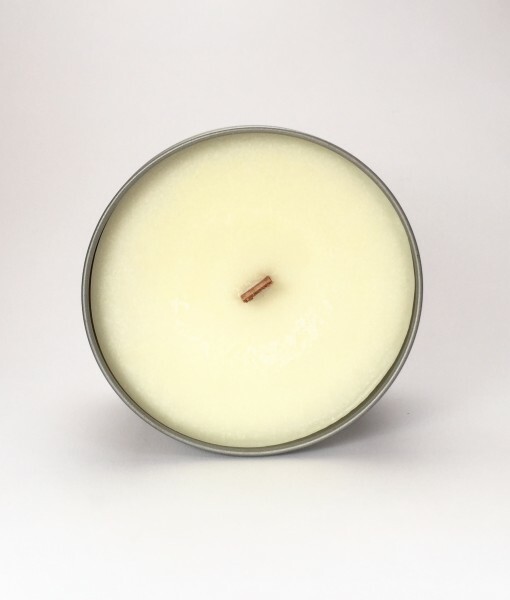 Sandalwood: A subtle, soft, cosy and warming fragrance. 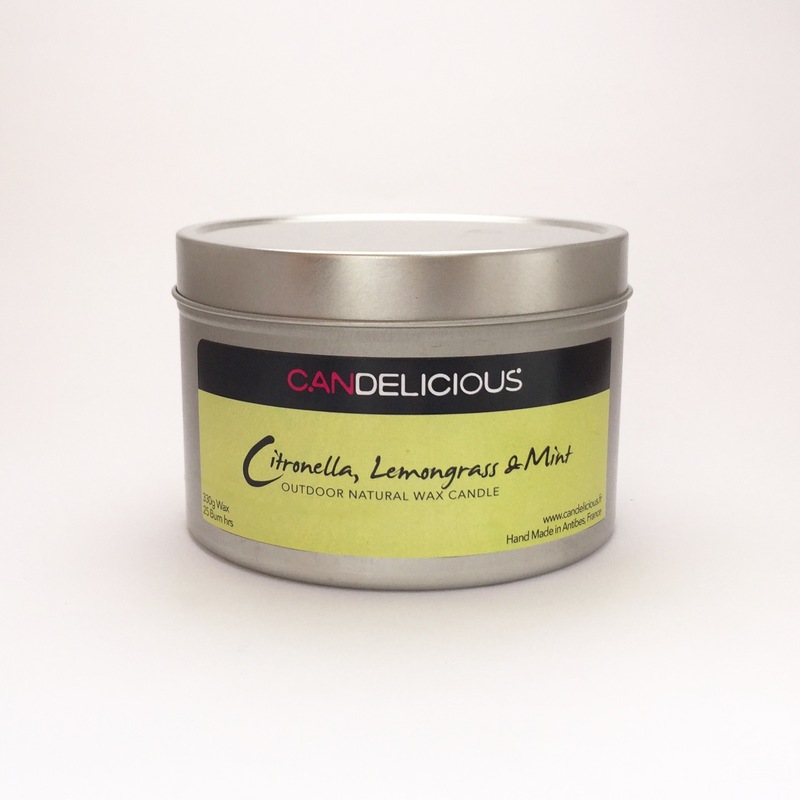 Green tea & Bergamot: A clean smelling fragrance with a hint of Bergamot. People always comment on this candle smelling like you walk into a Spa. Amber: This is a beautiful fragrance, smelling quite strong and amazing! Jasmine Flower: A beautiful summer fragrance that will lift up any mood. Leather & Teak: Beautiful smell for the house, I really love this smell! Lavender & Vanilla: A combination I chose to level out the sharpness of the Lavender Essential Oil, the touch of vanilla will give it the right balance. Should be burned outside only! !